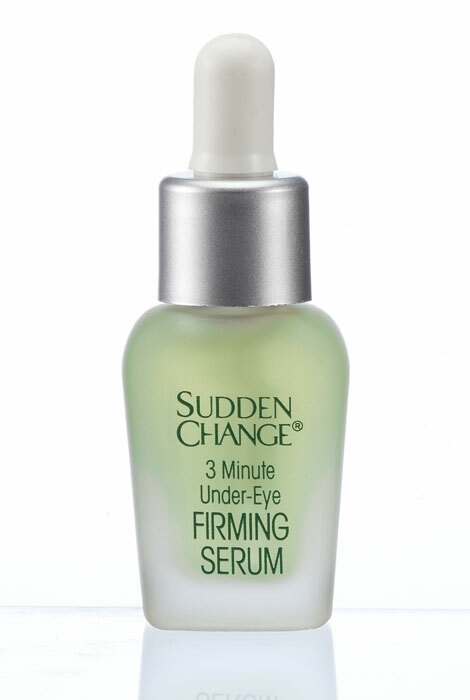 Under Eye Lift Serum makes wrinkles, puffiness and bags less visible for all day beauty. Fast absorbing... it's the #1 instant under eye skin smoother! Contains .23 fluid ounces for 60 applications. Water, Serum Albumin, Hyaluronic Acid, Dimethicone Copolyol, Sd Alcohol 40, Dextran Sulfate, Tetrasodium Edta, Quaternium-15, Imidazolidinyl Urea, Methylparaben. Apply to clean, dry skin. Do not use moisturizer on under-eye area before or after application. Works with or without foundation. Works great for my bags under my eyes. I have been using this for years, and so far haven't found anything else that is as good. It isn't a permanent fix, but it does last most of the day. Use this daily and as a last minute "pick me up" before going to dinner. Love it, have ordered numerous times just before I run out, will continue to reorder as needed. Great product. Product does what it said it will do. The effects only last a short period. Definately doesn't last the day. I just used the product as the directions said by itself since I don't use foundation. It just felt tacky when dry. I don't think I would recommend it to a friend. I used it as suggested every morning and night. I have to return. Sticky and flakes when I apply make up. I have to return. Sticky and flaky when i applied makeup. I use eye cream. Just wanted to try this. This used, will make your face, smooth. Use on all the unsightly lines on your face. It will make you look YOUNGER! Two words: firming and serum. The low price helped as well. I previously used the sudden Change Gel, and it is fantastic. I am trying this product, and hope it gives me the same, "sudden" visible change. The gel was a Great product. Love this, buy it all the time. It really works while you have it on... does was away and you return to normal however. From the description, this item sounded promising. And if so will order move ! my sister in law raved about the quality of the product..so I bought one.. I am hoping it will reduce my under eye bags. I am hoping it will remove some of the wrinkles under my eyes. I am hoping this product will smooth out my under eye creases. this product reduce my under eye puffiness . To reduce bags under my eyes. I,ve tried different products & they didn't work well, so I hope this will. I hav bags under my eye. First time purchase. will give it a try. All of a sudden I have bags under my eyes, which I never had before. I am trying to change that. Only thing that works on my circles and bags! A friend recommended it, and it looked as if it worked. It's what my wife uses for under her eyes. put a drop on the tip of each ring "finger tip" and pat it on lightly under your eye and upper lid area " next to eye brow let it dry for about 3 to 5 minutes before you apply your eye make up. I mix one drop of serum with a little water and pat it on sparingly. Otherwise you get a white powder and your skin shrivels up. After application dries does it look white and dry or showing dry looking lines? BEST ANSWER: I used this a long time ago, so I really don't recall, but I can tell you that I was not impressed by this product. Since then, I have been using Skin Doctor's Instant Eye Lift and that works wonders! Instantly gets rid of the bags under my eyes. Unfortunately, As We Change does not offer this anymore, so I have to buy it wherever I find it. Hope this helps. Mix it with a tiny bit of foundation, and it should be perfect ! Does it work on all skin colors? BEST ANSWER: Thank you for your question. Yes, this item can be used on all skin colors. We hope this information will be of help to you. can you use it on your eyelids to ? BEST ANSWER: I've never used it on my eyelids..just under my eyes. No matter where you use it, mix one drop with water on your finger..wet your finger..then put one drop...THEN put it on eye area. Otherwise, it is too strong and your eyes get white and crinkly. If you use it the way I suggested, it really works. no, it only works under the eye....to make you face fuller. 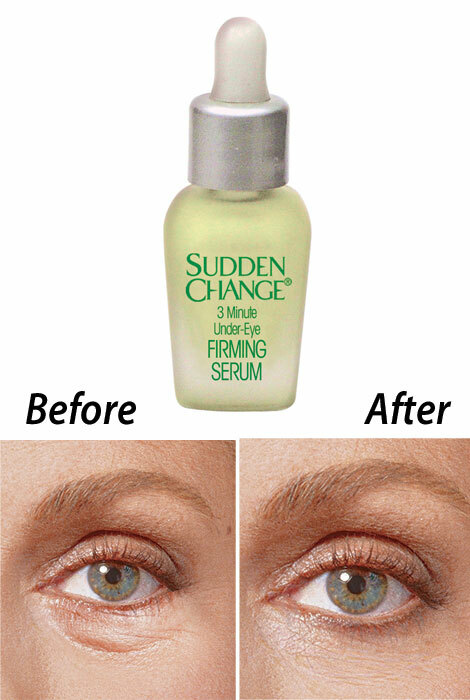 i love sudden change, but haven't tried it on eyelids!!! What stores carry this product? BEST ANSWER: Thank you for your question. We do not sell in stores but I have seen it in Walmart. We hope this information will be of help to you. Can it be used on neck ? BEST ANSWER: Thank you for your question. No this can only be used under the eyes. We hope this information will be of help to you. Can it be used on eyelids and neck?